If you have a "green thumb", we are interested in you! Pine Valley has been doing a great job the past three years with our turf and we'd like to see if residents would like to form a landscaping committee to "spruce up" our TOA monuments during the year and take care of the Christmas decorations when the time comes. Your board has finally got to the point where our berm and the WG monument is in an attractive state. We only need a handful of volunteers (2 or 3) and during the year it would involve some weed pulling and perhaps tilling. It's a good way to get out of the house and do something for your community. On a side note, the same offer goes out to all HOA residents. Every community has a monument and a little extra loving care goes a long way. 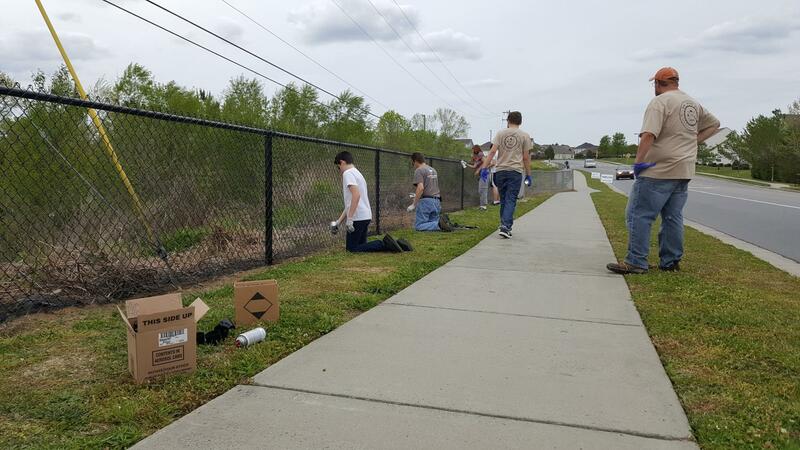 The scouts planned to remove all the twigs and paint the fence line along Moss Farm Street in one day. Well, it took over three hours just to remove the twigs that had grown between the chain links over the years. Sherwin-Williams provided an additional 12 cans of black spray paint, on top of the 18 provided initially. It wasn't enough and after 5 hours out there the scouts called it a day. Phase II should go much easier and the scouts, with adult supervision, will utilize an electric paint sprayer with paint Sherwin-Williams provided. Troop 220 plans to finish this project before it starts getting hot and targeting mid-May. 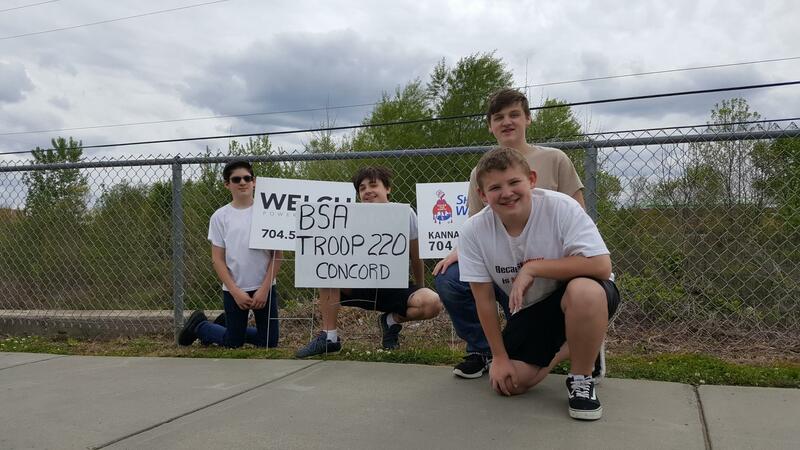 The scouts from BSA Troop 220 Concord, plan to paint the fence line between the two Odell schools on Moss Farm Street this Sunday. It'll be glossy black matching the existing Greenway fence. This will help give the street a better appearance. 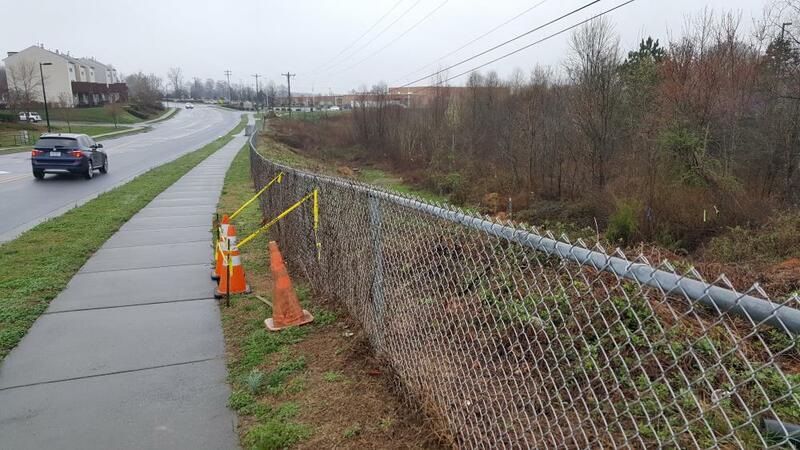 This fence belongs to the Cabarrus County School System and we were given permission to paint the fence last year. Sherwin-Williams (Kannapolis Store, near Sam's Club) donated all the paint, to include spray paint to make it easier for the scouts. Welch Power Washing has donated his time and materials to power wash the fence line this week, prior to the painting. If you get a chance on Sunday and see the scouts painting, please stop and say thanks. A number of years ago, we tried to address our flowers from being run over at the tip of the Moss Farm Street island. It was thought by pouring concrete at the tip it would help. Well, in the process, the contractor poured the concrete in the wrong end. And as you can see here in the picture, they poured a LOT of concrete. Thanks to the City of Concord, all the concrete has been removed from both ends, an ADA ramp was installed, and the other tip was scaled back enough to hopefully prevent school buses and other vehicles from running over our curb. We owe Randy Shue a big thank you for getting this work completed during the Easter holiday and not impacting school traffic. Last week, your HOA board sent a Matching Fund draft proposal to The City of Concord to remove the tip of the Moss Farm Street island. Matching Funds are due to the city by late May. The email sent was to see if the city would support the proposal since DOT would be involved. FYI: The Matching Fund program, if approved by the city, matches up to $3000 towards a community project. The proposal removed the tip of the Moss Farm Street island (about 8 feet), closest to Harris Road. The flower bed there continued to be run over by school buses and other vehicles, even with the concrete pad added a few years ago. The destroyed flowers did not give a good first impression entering our community. Something all your board members are quite cognizant. The only option was to remove a good portion of the tip. With the city's review, they noticed we had one sidewalk, not in compliance with the Americans with Disabilities Act and no clear path to the other side. So, the city decided it was their responsibility and fund the entire project out of city funds. The project also includes the removal of the concrete pad at the other end of the island, which was poured by mistake. This west tip will be the primary flower bed in the future and the other end, closest to Harris Road, will most likely be left turf. To make it even better, the city started the work yesterday! There was a miscommunication with Pine Valley last year about pruning the spiral junipers in The Commons (TOA). 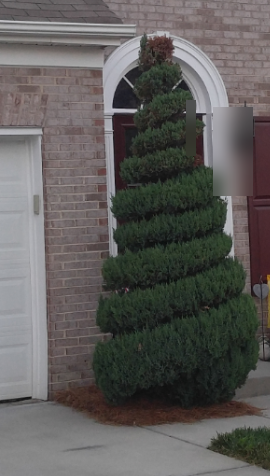 The spiral junipers missed during the past cycle will be addressed with the next pruning. The City of Concord repaired the small sinkhole along the sidewalk. If you see sinkholes, please report them to Kuester as soon as possible. The City of Concord responded very quickly to a call about this sinkhole. If you see sinkholes or anything that is out of the ordinary, please report it to Kuester Management as soon as possible. This is part of the email we received from Randy Shue, Concord's Street Superintendent: "There are some utility conduits visible in the hole that will need to be identified before we can perform any type of repairs. NC state law requires that we contact NC811 to have the utilities located before we can excavate to determine the cause of the sinkhole. NC811 was contacted this morning and we will have to wait until after March 6 to give the utility company’s time to locate their lines in the area. This is a very small hole that I think may be from where someone attempted to dig to find the buried conduit, it does not appear that it will get any larger." To everyone that helped get the vote out and to all who participated, a big Thank You from your HOA board! HOA meeting Feb 26 @ 6:30 p.m. Your Amendment Vote is Needed! Concord Police invite you to the next Crime and Safety Briefing on Thursday, January 25, 2018, at Forest Hill UMC Ministry Center (251 Union Street N), starting at 6:30 p.m. During the briefing the department will present Citywide crime statistics for the calendar year 2017. This is an opportunity for residents to interact directly with members of the Concord Police Department and receive information regarding their neighborhoods. Anyone attending and in need of special accommodations should contact Sergeant Larry Hubbard or Captain Robert Ledwell at 704-920-5000. Find out more at concordnc.gov/police. Pine Valley removed our pine needles the first part of this month and started placing a high-quality mulch down this morning. Killingsworth Environmental will be on the property Thursday, December 27th from 8:00 am-5:00 pm to perform the annual termite inspection for the exterior. We will also spray a termiticide around the outer foundation wall, so please give 2 hours dry time before allowing pets outside. Our Moss Creek Village Social Committee did another great job this year with our Fall Festival. Both young and not so young all had a great time with all the games and pumpkins! The Social Committee is always looking for volunteers, especially with the holiday season fast approaching. If interested, please contact Lia Madden. See the October Newsletter information here! To be sure you receive the monthly newsletter and any other community information we may share with you by email, please register here on the community website! SwimMac is offering residents that wish to lap swim lane space two days a week in the 25yard pool. Tuesdays and Thursdays 5:30-6:30am and 12noon-1pm, beginning Oct 5th. Once the open swim hours for the weekends are determined, the opening date and schedule will be announced. A&O is currently being performed in the townhomes and the common areas. Part of the process involves irrigation head repairs. Irrigation is scheduled to return to the regular 3 days a week schedule the week of 9/21. Once overseeding is complete, the 2nd annually contracted shrub trimming will be done on the townhomes and common space. 2nd half of the Nature Trail is now OPEN!! In addition to increasing awareness of crime, NNO strengthens neighborhood bonds and community-police partnerships, while sending a message to criminals that neighborhoods are taking a stand against crime! Bonded neighborhoods deter crime by sending the message that you are close to your neighbors and everyone is aware of what is happening in your neighborhood, and is watching out for each other. In observance of National Night Out on Tuesday, August 4, 2015, the Concord Police Department asks that at minimum you leave your porch light on from 7:00 p.m. until 10:00 p.m. The porch light is a symbol of alertness and awareness; it also makes your neighbors and friends feel welcome. Looking for an irrigation contractor to diagnose or repair your irrigation system on your Lot? We have started a section on this website where we can post resident recommendations for contractors for services most commonly needed by Moss Creek Homeowners. See the FAQ page for those recommendations submitted so far. We are always looking for more references, so please let us know who you think we should add to the list- not just for irrigation vendors, but landscapers, power washers, handymen, etc. We would prefer that referrals are licensed and bonded for individual homeowner protection. This is a great opportunity for all of the residents here at Moss Creek to responsibly recycle any electronics that you may need to get rid of. We are partnering with All-Green recycling here in Charlotte to make sure none of our electronic devices wind up in our landfills. It is not legal here in the state of NC to put any kind of electronic devices in our trash receptacles, so please be sure to bring whatever you have!! All-Green Recycling has a ZERO landfill policy!! They are a very reputable company and have clients like the IRS and AT&T. They will destroy any and all hard drives that come to the event so you do not have to worry about any of your information being compromised! There is no cost to recycle any times except old TV’s or computers with a tube. The cost for that is $.20 per pound. Winter is OVER! Pool season is almost here! Make sure you have your pool pass/Amenities ID before the pool opens! There is no need to renew IDs year to year so take care of your ID cards. Remember, you will not be admitted to the pool without a valid Amenities ID. Those residents that are delinquent on their Assessments and not in a payment plan may lose their Amenities privileges. Those interested in a payment plan should call Kuester to make arrangements asap. You will soon receive the 2015 Pool Season packet by mail (Tenants, these will be mailed to the owner with instructions to pass forward to you). Inside will be two (2) 2015 Guest Passes. Leftover Guest Passes from previous season are still valid as they do not expire. For information on Guest Passes and guest rules, see the 2015 Pool Rules posted on the Moss Creek website under the ‘Amenities’ tab. Also on the community website, is a printable pool hours schedule (post it to your fridge!). New applicants for Amenities IDs will find there the link to the Amenities ID application e-form (new this year- submit your application through the web- no more paper apps!). Required are jpg photos of each household resident 12 years old and up. New tenants are required to submit a copy of their lease and have a $15 fee per ID card. For Amenities IDs, see Lisa at the clubhouse office Wednesdays 6-8pm and Saturdays 10am-2pm. For over thirty-five years, SwimMAC has enriched the lives of thousands of Charlotte area children with its exceptional competitive and learn-to-swim programs. SwimMAC’s learn-to-swim program is designed to foster the proper instruction of swimming at all levels. Instruction focuses on the concept of water safety, proper body position and kick-driven stroke technique that eventually leads to excellence in competitive swimming. Below is the schedule for this year’s free swim lessons -available to Moss Creek residents only. Registration opens this week www.teamunify.com/ncmac. Winter is OVER! Pool season is almost here! Make sure you have your pool pass/Amenities ID before the pool opens! There is no need to renew IDs year to year so take care of your ID cards. Remember, you will not be admitted to the pool without a valid Amenities ID. You will soon receive the 2015 Pool Season letter by mail (Tenants, these will be mailed to the owner with instructions to pass forward to you). Inside will be two (2) 2015 Guest Passes. Leftover Guest Passes from previous season are still valid as they do not expire (the BOD has decided not to change this rule at this time). New applicants for Amenities IDs will find on the Moss Creek website (under Amenities tab) the link to the Amenities ID application e-form (new this year- submit your application through the web- no more paper apps!). For Amenities IDs, see Lisa at the clubhouse office Wednesdays 6-8pm and Saturdays 10am-2pm, beginning on April 11th (out week of 4/13--- back in 4/22>). All amenities ID and gym membership requests will be processed during those specific days and times. Our new webforms will make it easier for you to submit the paperwork required for specific HOA requests! We now have online forms for Amenities ID cards (whether you are a new community member or need a repalcement ID card) , Fitness Center membership application and cancellation, Irrigation activation requests and Architectural improvement requests. Registration opens this week www.teamunify.com/ncmac . How to register: Please go to website www.teamunify.com/ncmac. Click on the ‘Programs’ tab and scroll down to the schedule. If you have an account from last year’s classes, you do not need to reenter your information if you use the same email address. Resident access to the winter swimming pool facility continues until April 30th. 1-6pm on Saturdays and Sundays for open swim; Tuesdays and Thursdays 12-1:30PM for LAP swimming. On May 1st, MAC will begin the process to take the structure down to store and Carolina Pool Management will begin to prep the pool facility for regular pool season which begins Saturday May 16th. Irrigation season begins on April 14th. Remember- irrigation systems NEED REGULAR MAINTENANCE like cleaning out the valves and filter. It is each single-family Homeowner’s responsibility to make sure his/her personal system is in compliance with Community standards. This means making sure your system is running by the timer and not manually (make sure the electric valves in the valve box in your yard are shut off so that the timer in your garage runs your system when set properly), making sure your heads are not broken and wasting water, that you are only running one zone at a time during the hour of scheduled watering and that you are utilizing only 10 gallons of water per minute (600 gallons in the hour of watering time allotted). This is also a smart time to change or check your battery in your timer. Even though the clock is plugged in, any power loss or surge will cause you to lose all your programming if you do not have a working battery in for back-up. Irrigation inspections will be performed regularly to alert homeowners that are out of compliance. ***Throughout the season, if you are experiencing difficulties with your irrigation system and plan to schedule an appointment to have an outside irrigation contractor of your choice evaluate your system (or perform maintenance yourself), you will need to complete the Irrigation Activation Form in order to get access to irrigation water outside your regular watering schedule. This form will serve as notification to the HOA’s irrigation manager to pressurize your irrigation zone during your scheduled appointment with your contractor (or yourself). The form can be found on the community website under the Irrigation tab. You do not need to hire the same contractor the HOA uses. Any skilled irrigation contractor can work on your irrigation system on your property. The only difference with this community, is that your availability to irrigate your yard is on an HOA specified schedule- otherwise your system works the same way as if you owned a home where you used your own city water to irrigate. Activations will only be accepted after the season has begun (after 4/15). For additional reference, the General Irrigation Information page (on the website too) will provide further details to you and you contractor. ***On that note, we would like to announce that Coleman Burnett Inc. (CBI-our landscape contractor) now also has the contract to service and maintain the Moss Creek irrigation system (the common elements of the system). We feel confident that they will be able to provide the HOA a high level of service and attention. They are on a 25 hour a week schedule with the HOA. **As a reminder, the HOA’s responsibility to maintain irrigation stops at the ball valve at the curb of each single-family home (where your personal system taps the submain line). CBI will not cross into your yard to maintain any part of your personal irrigation system. They will also be making upgrades to the phase 1 irrigation control system that are long due. While any new irrigation contractor may have some learning curve in the intricacies of our utopian-ly designed irrigation system, we look forward to CBI’s dedication and organization to bring us a great irrigation season! We are pleased to announce the anticipated lap swim hours for the winter pool structure. The pool is now open Tuesdays and Thursdays 12noon-1:30pm for LAP SWIMMING ONLY. The time is scheduled for those residents that wish to swim laps for exercise or training- this is NOT OPEN swim time, so please do not arrive with children that are not interested and able to only lap swim. The winter pool will be open extra hours during the week of Spring Break! The opening hour is yet TBD, but there will be at least several hours during the weekdays (3/30 through 4/3) for resident open swim. Lap Swim time will still be honored Tuesdays and Thrurdsays from noon- 1:30. As soon as the time schedule is confirmed, we will announce the spring break weekday open swim hours. The day has finally arrived! the Winter Pool Facility will open to the Moss Creek Residents on Saturday February 28, 2015 at 1pm. Initially, the hours will be Saturdays and Sundays 1pm-6pm for open swim. Shortly, weekday lap swimming hours will be announced. Hours may be subject to change at the Board's discretion and depending upon attendance. Two Lifeguards will always be on duty during these hours. Entrance to the Winter Pool will be through the EAST POOL GATE - it has been outfitted with card access. This is the gate on the left side of the clubhouse closest to the tent structure. Each resident entering must swipe his or her ID card to enter the gate, then proceed inside the tent structure to sign in with the Lifeguard. The restrooms are still located inside the lower level of the clubhouse. A temporary fence has been erected to restrict access to the restrooms and the tent structure and to keep anyone from unsafely accessing the other un-guarded swimming pools and deck space. The Winter Swimming Facility is a place that is primarily for swimming. There is not a lot of deck space inside for lounging or hanging out. There will be chairs around the perimeter and a couple of tables, but no lounge chairs. State regulations require a 10 foot clearance of decking around the pool itself. Please read the Winter Pool Rules Addendum before visiting the facility. We do not yet have a definitive answer on when the residents will be granted access to the Winter pool. The construction is not yet complete on the structure. They are still installing the interior lighting and heating. There are inspections and permitting that remain to be done by the County/City for electrical, gas and health dept. We also still have to finalize the bathroom access process and the method we will use to close off the rest of the pool facility/deck for safety and liability. Once we have those things accomplished, we will announce the opening to the residents. The annual meeting of the Master Assn was held on November 17th and the TOA’s annual meeting was held on December 11th. Neither Association meeting had enough resident attendance to meet the quorum requirements to conduct official business/elect officers. Therefore, the Master meeting will be reconvened on Monday, January 26, 2015 at 6:30 pm and the TOA annual meeting will be reconvened on Thursday, January 22, 2015 at 6:30 pm at the Moss Creek Clubhouse at 9505 Moss Plantation Ave NW Concord, NC 28027. If you do not plan to attend, make your vote count by turning in your proxy BY the day of the meeting. For the Master, please select THREE (3) candidates when voting. You may email your proxy to holly@kuester.com, drop it off at the clubhouse office, place it in the locked drop box by the clubhouse front door , fax it to the Fort Mill office or hand it to a neighbor that plans to attend the meeting. Click here to download the Master Association Proxy. Click here to download the Townhome Association proxy; Or pick up a copy in the clubhouse lobby. For the reconvened meeting, State Statute 47F allows for the quorum requirements to be reduced to half of the original amount, therefore, 5% of the membership equaling 63 votes either in person or by proxy is needed for elections to occur. In an effort to expedite the election, the Board will be voting via directed proxy. If you do not plan to attend the meeting to vote in person, please submit a proxy completely filled out no later than the commencement of the meeting. 2014 Holiday Lights Contest- VOTE NOW! It is time to vote for your favorites! There is a lot of really great decorating spirit in Moss Creek- as usual! The Social Committee had a hard time choosing only the top 17 homes. Now it is your turn to vote on the 3 best! There are three categories: Whimsical, Traditional and Townhomes. Homes were selected in each category. Vote for your favorite in each category on the surveys on this page (dont forget to click through each of the 3 surveys!). Please have your votes in by 1/18/2015. Click on 'read more' below to see pics of each home. The purpose of this meeting will remain to elect three Board Members to serve for staggered terms to the Association’s Board of Directors. At this time six individuals have stepped forward to serve on your HOA Board. You may click here or visit the Board Members page to view/print a proxy that lists the candidates and their brief statement of intent. Proxies may still be accepted to vote for these candidates through January 26, 2015. Please select THREE (3) candidates when voting. State Statute 47F allows for the quorum requirements to be reduced to half of the original amount, therefore, 5% of the membership equaling 62 votes either in person or by proxy is needed for any business to be conducted at this meeting. In an effort to expedite the election, the Board will be voting via a directed proxy. Although your input is always welcome, the sole intent of this meeting will be to make the Board of Directors official. Votes will be cast, counted and announced. Your attendance is welcomed at the meeting though general discussion may be brief. The construction of Hector H. Henry II Greenway Phase 2 is underway. Within the next two weeks, the project contractor will be installing a secondary construction entrance at Alexia Court. The primary construction entrance is still located at the end of Astoria Lane. Equipment will be delivered to the site and silt fence and other erosion control measures will be installed. Once these measures are in place, trail clearing and grading will begin. Site grading, installation of gravel sub-base and pile driving for the boardwalks will begin soon. A construction fence will be installed just past the observation deck on Phase 1. Please remember that this is a construction zone and is not open to the public. The Moss Creek Board of Directors- both TOA and Master, are looking for residents with an interest in serving our community to join the Board. There are 3 positions are up for re-election on each Board. Ultimately, the role of the Board is to protect and increase property values. This is accomplished by operating the association, maintaining the common property, and enforcing the governing documents. Those interested in submitting for candidacy may contact Holly Biddle at (888) 600-5044 , Moss Creek; holly@kuester.com. Please submit a short letter of intent and your resume. Intent must be submitted by October 15th. Still no candidate interest from the TOA members! We have 3 seats open.Elections will be held at the Annual Meeting /Budget Meeting in November. The elected officers will become active at the meeting following the close of the election meeting (January or February 2015). There is a proposal to change the Moss Creek Village Master CC&Rs to restrict leasing of homes. Linked here are the proposed amendment (which will be the 2nd amendment to the CC&Rs, if passed) and the ballot for voting. If you wish to fill out the ballot: print, sign and return it to the drop box outside the front door to the clubhouse or scan it and email it to holly@kuester.com. All ballots must be received by Sept 15th. The governing documents require 2/3 (67%) vote to alter the CC&Rs. That translates to 831 ballots. We currently have received only 152 signed ballots back from Moss Creek owners- a very far cry from the 831 needed to pass this amendment. By EOB Monday Sept 15th, if 831 ballots approving the amendment are not in hand, it will not pass and no change will be made to the current CC&Rs. If the community truly wishes to amend the language in the CC&Rs regarding leasing, and the necessary ballots have not been collected by 9/15, the ballot collection process must start all over. Phase 1 of the Nature Trail/Greenway is open to pedestrian use. This is the span from the schools to Astoria. The section from Astoria - north is STILL CLOSED and NO TRESPASSING. Construction on Phs 2 will commence anytime and should be completed by February. -The materials have been removed from the short boardwalk (bridge) site. -Park rules and hours are posted. -Make note that there is NO FISHING or SWIMMING. -Also, NO motorized transportation or vehicles permitted. Enjoy! And please call 911 to report any inappropriate activity. We have added a feature to our community website called Business Directory. On the left side of the page, under the Welcome section, you can submit information on your business in order to network with fellow residents. It is for Moss Creek residents only and will be a great tool for us to search services provided by residents and support our locals! We have now officially reached the 20% cap on leasing in Moss Creek. All owners and potential owners need to be aware that approval by the HOA needs to be gained before renting their home in this community. The form is available here on the community website under the Governing Documents tab. A waiting list will be maintained for leasing requests. The Board has the ability to grant a variance for owners in a hardship circumstance. The Board has moved their meetings to the 4th Monday each month at 6:30pm. Residents are always welcome –homeowners’ forum is at 6:30- you also have a chance to meet Concord’s finest (PD) for crime stats and Q&A. Upcoming dates 8/25, 9/22. The Townhome Board meets every other month – upcoming dates 8/28, 10/30 at 6:30pm. The Concord Parks & Rec dept is nearly complete with the 1st phase of the Greenway. Phase 1 is the section from the schools to Astoria. During construction, the trail is off limits with No Trespassing signs posted at all the entries (they mean it! CPD can arrest trespassers!). The official opening ceremony of phase 1 is scheduled for September 9th at 5:30pm at the trail head by the school. They will ‘soft’ open the trial before then. We will know it’s open and ok to explore when the no trespassing signs are taken down. Phase 2 construction will begin in Sept and should be complete early 2015. Please make the check payable to your Association and include your account # on the memo line. We are happy to announce the Wifi at the clubhouse/pool area has been upgraded. We have installed an 'access point' that gets us great signal all the way to the back fence. The NEW PASSWORD is MossGuest123 (note M and G are uppercase and no spaces). Please click here to view the Board of Director's response to concerns voiced by residents about the pool and facility access. The Board and Management have a stong propensity for problem solving and your concerns and suggestions are important. SwimMAC Masters is happy to announce a new training group at the Moss Creek pool. Swimmers of all abilities are welcome. Whether you want to improve your overall fitness, swim just for fun, develop better technique, or train for triathlons, open water swims, or pool swimming competitions, you will find someone to swim with. We will be utilizing both the 6 lane 25 yard pool and the 8 lane 50 meter pool. Our practices have already started. We will be swimming Monday, Tuesday, Wednesday and Friday 5:30 - 6:45 am. please take a moment to complete the community survey if you have not already. Thank you to all that got into the holiday light spirit! It was a great joy to drive through the community and enjoy the light displays on resident's homes and yards!! The purpose of this meeting will remain to elect two Board Members to serve for staggered terms to the Association’s Board of Directors. At this time four (4) individuals have stepped forward to serve on your HOA Board. You may visit www.mosscreekvillagenc.com and click on Board Members from the left navigation bar to view a brief statement of intent. The candidates for the Board are listed at the bottom of the page. Proxies may still be accepted to vote for these candidates through January 15, 2014; 3pm. Please select TWO (2) candidates when voting. The Budget Ratification/Annual Meeting for the Moss Creek Village Master Homeowner’s Association will be held on Wednesday, November 20, 2013 at 7:00 pm. This meeting will take place at the Moss Creek Clubhouse. The purpose of this meeting is to ratify the Association’s budget for the year 2014 and to elect two (2) board members to serve on the Association’s Board of Directors. Click here to view the information regarding this meeting and the 2014 budget. The extended bios/resumes of the candidates for the 2 open Board positions can be found on the 'Board Members' page of this website. The Budget Ratification/Annual Meeting for the Moss Creek Village Townhome Owner’s Association will be held on Thursday, November 21, 2013 at 7:00 pm. This meeting will also take place at the Moss Creek Clubhouse. The purpose of this meeting is to ratify the TOA’s budget for the year 2014. 2014 TOA Budget Meeting notice. Door to Door Solicitors--Per City Ordinance, All Solicitors must have a city permit to solicit door-door. If a Solicitor comes to your door and does not have a permit, you may want to call Concord Police (704-920-5000). An officer will come out and check up on the Solicitor and ask them to leave the Community if they are un-documented. Anytime you see any suspicious behavior, permit or not, please call the police immediately. The Master Board of Directors has 2 seats that are open for (re-)election. Eligible candidates are Homeowners with an interest in serving this community. *Community association boards consist of officials elected to represent and protect the best interests of their constituents. *Community associations are corporate entities whose board members must maintain the value of a jointly owned asset. *Community associations are social entities—neighborhoods of people who expect the board to preserve, if not improve, their quality of community. Those interested in submitting for candidacy may contact Ben Rhodes at (888) 600-5044 ext 7729, ben@kuester.com. Please note that to be eligible to run for a position on the Board of Directors your assessment account must be current and you must be an owner of record of the HOA. The Board currently meets monthly in person and occasionally on special topics intermittently. The two incumbents whose seats are up for re-election (Carolann Stillie and Bryant Kearns) will also run for re-election. The terms are 3 years each. Voting will take place at the November meeting in person or by proxy. The proxies will be mailed along with the 2014 budget announcement/Annual Meeting notice by November 7th. The Annual/Budget Ratification meeting will be held at 7pm on Wednesday November 20th at the Clubhouse. To submit your interest in candidacy, please send your letter of intent and resume to Ben@kuester.com BY NOVEMBER 5th, 2013 for inclusion in the Annual Meeting notice and proxy paperwork. We are pleased to inform you that residents are now able to access the wireless internet signal at the clubhouse/pool/gym. For over thirty-five years, SwimMAC has enriched the lives of thousands of Charlotte area children with its exceptional competitive and learn-to-swim programs. SwimMAC’s learn-to-swim program is designed to foster the proper instruction of swimming at all levels. Instruction focuses on the concept of water safety, proper body position and kick-driven stroke technique that eventually leads to excellence in competitive swimming. Registration opens May 14th at 9 AM (the website says 6 AM PST) online at www.teamunify.com/ncmac. Click on the ‘Programs’ tab and scroll down to the schedule. If you have an account from last year’s classes, you do not need to reenter your information if you use the same email address. Your first session of lessons is free! Register by June 6th. Your child(ren) can receive an additional session of lessons for $30 after June 10th. Link to 2013 Pool Season letter being mailed out on 4/19. Link to Amenities ID card application. Link to 2013 Pool Rules. Link to 2013 Pool Hours Schedule. Holiday Lights Contest-The Winners Are IN! and in the new 'Townhomes' category: The Terans of 9676 Walkers Glen. This was a great year for holiday decoration and spirit in Moss Creek! We look forward to a blessed and prosperous 2013 for all our residents! It is time to vote for your favorites! There is a lot of really great decorating spirit in Moss Creek this year! The Social Committee had a hard time choosing only the top13 homes. Now it is your turn to vote on the 3 best! There are three categories: Whimsical, Traditional and Townhomes. Five homes were selected in each the Traditional and Whimsical categories and 3 in the Townhome category. Vote for your favorites in each category on the surveys on this page. Please have your votes in by the 31st as the winner will be announced just after the 1st of the year. Click on 'read more' below to see pics of each home. Better yet, take the family for a drive and see the neighborhood lights as many of them are not done justice by photograph! click here for a map of the neighborhood highlighting the locations of the nominees. 1. Preheat oven to 350 degrees. Combine ground Oreos and melted butter into a bowl until well combined. Spoon into 12 mini cheesecake cups that have been sprayed with cooking spray. Press into the bottom of each cup so the crust is flat. Partially bake for 10 minutes then remove from oven. 2. In a stand or electric mixer beat the cream cheese and sugar until smooth. Beat in egg, vanilla, cinnamon and nutmeg until combined. Remove approximately a fourth of the cream cheese mixture into a separate bowl. Add the pumpkin to larger, and Nutella to the small half and mix until incorporated. 3. Pour the pumpkin mixture evenly into the 12 cups filling about 2/3 way full. Spoon about half a tablespoon of the Nutella mixture into the tops of each filled cup and swirl with a toothpick gently. Bake for 25-28 minutes or until cheesecake is cooked through. Let cool completely. 4. 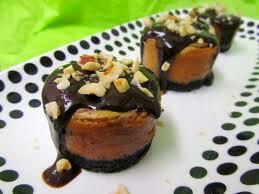 Remove cheesecakes from pan and top each with a spoonful of chocolate ganache and hazelnuts. Refrigerate until ready to serve. 1. Heat the oven to 400°F. Beat the egg and water in a small bowl with a fork. 2. Sprinkle the work surface with the flour. Unfold 1 pastry sheet on the floured surface. Roll the pastry sheet into a 9x12-inch rectangle. Cut the rectangle into 12 (3-inch) squares. Repeat with the remaining pastry sheet, making 24 squares in all. 3. Stir the cream cheese, shredded cheese, garlic and bacon in a medium bowl. Spoon about 2 teaspoons of the cheese mixture into each pepper half. 4. 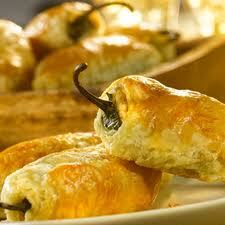 Place 1 filled pepper half diagonally, cheese-side down, onto each pastry square. Fold the pastry up over the pepper and press firmly to seal. Brush the filled pastries with the egg mixture. Sprinkle with additional shredded cheese, if desired. Place the pastries onto 2 baking sheets. 5. Bake for 20 minutes or until the pastries are golden brown. Let the pastries cool on the baking sheets on wire racks for 10 minutes. 6. Ingredient Note: You can use store-bought roasted garlic or make your own. To make your own, cut 1/4 inch off the top of a whole garlic bulb. Place the garlic onto a square of aluminum foil and drizzle with olive oil. Wrap tightly and bake at 400°F. for 30 minutes or until the garlic is very soft. Squeeze the garlic cloves out of the peel to use in this recipe. It's time to start thinking about spring flowering bulbs like Crocus, hyacinth, and tulip bulbs. For best flowering, store them in a paper bag in the crisper section of your refrigerator (away from apples) for at least six weeks before planting. As you select your flowering bulbs to plant this fall, keep in mind that larger caliber bulbs give big, showy displays, but cost more. Smaller caliber bulbs usually are less expensive, with a smaller show, but are great for brightening nooks and crannies in your yard. Other spring flowering blubs: Daffodils, Dutch iris, Freesia, Anemone, Oxalis, Ranunculus, Watsonia, and Hyacinth to name only a few. Vegetables that like cool weather: beets, cauliflower, brussels sprouts, cabbage, broccoli, kale, kohlrabi, chives, collards, celery, onions, parsley, parsnips, peas, radish, spinach, lettuce, turnips, and Swiss chard. Annual flowers that like cool weather are: pansy, viola, snap-dragon, stock, calendula, Iceland poppies and California poppies. Two weeks before planting, amend, rototill and fertilize beds you plan to use for or cool- season vegetables. When planting bulbs, If you are not sure which end of the bulb is the top, plant it on its side. The stem will always grow upright. Plant peonies now, but make sure the crowns are buried only 1 1/2 to 2 inches (3 to 5 cm) below ground level. Deeper planting keeps the plants from blooming. Pot up chives, parsley, and other herbs, and bring into the house to extend the growing season. Start taking cuttings of your annual plants to bring indoors and carry through the winter. Geranium, coleus, fuschia, and other plants do best when stem cuttings are rooted and kept in pots indoors through the winter. Be sure to place pots where they receive plenty of light. Fall is usually cool and moist and a good time to plant trees and shrubs. Research has shown that roots will continue to grow until the soil freezes. This is true for both evergreens and deciduous plants. Fall is a great time to plant and divide perennials and shrubs for next year's garden. By planting in the fall, your plants do not endure the stressful summer heat during establishment and have time to form sufficient root systems before the onset of winter dormancy. The Fitness Center opened Thursday, September 6th. Email to holly@kuester.com or drop off the signed contract at the clubhouse (or place in the drop box by the front door) and we will upgrade your Amenities pass (your current pool pass) to provide you access to the gym (you do not need to being your ID card in). Once we receive your signed contract and have upgraded your ID card, we will email you that your membership is active. The fee for membership to the gym will be $25 a quarter for the family, billed on your quarterly HOA statement. The facility is for residents (only- no guests) 18years old + (children under 18 are not allowed in the fitness center). The contract is available in the clubhouse and on this website under the Amenities tab. Pictures have been uploaded to the Fitness Center album under the Photo Albums tab on this website. There are 3 access points that your Amenities ID card will work if you are a gym member: the front door to the clubhouse (everyone’s amenity card will work this card reader), the gym door and the door from the downstairs bathroom hallway to the gym. The facility will be open 7 days a week from 5am-11pm. Please remember to keep your ID card on you at all times while in the fitness center. If you exit the fitness center you will need to swipe your card to re-enter (consider this when you exit the gym to enter the restroom area!). The facility will be open 7 days a week from 5am-11pm. It is monitored by video surveillance. Please make sure you exit the clubhouse facility by 11pm in order to avoid setting off the security alarm. If the alarm is activated and the police respond, they have the ability to detain you per the Community’s No Trespassing agreement with the City of Concord. The City picks up the recycling roll out bins (black bin) every other Thursday. click here for the schedule: recycling calendar. If you need a recycling container, contact City of Concord 704-920-5555. The Fitness Center is expected to open near the first of September. The fee for membership to the gym will be $25 a quarter for the family, billed on your quarterly HOA statement. The facility is for residents 18years old + (children under 18 are not allowed in the fitness center). We plan to have the contract and sign- up on our community website as a ‘web-form’. We will send a mass email out once this is ready to go. Staff will receive your request to become a member and will upgrade your Amenities pass to provide you access to the gym. There are 3 access points that your Amenities ID card will work if you are a gym member: the front door to the clubhouse, the gym door and the door from the downstairs bathroom hallway to the gym. The facility will be open 7 days a week from 5am-11pm. HARRISBURG, NC – More than a year after the idea was born, a Cabarrus County middle schooler has his name etched in the pages of the Guinness Book of World Records for making the world’s largest homemade crayon. Chase Carey, a rising sixth grader at JN Fries, and Petey’s Promise, a 501(c)3 non-profit pet food bank founded by Chase’s mother, Liz Mellott, recently received the final certificate from Guinness proving that on Oct. 29, 2011, Carey and a group of friends and family cobbled together the world’s largest homemade crayon. The crayon, Petey’s Passion, weighs in at an unbelievable 731 pounds and stands 9’ 9 ¾” inches tall. Chase originally came up with the idea to make the world’s largest crayon for his AIG Community Service project at W.R. Odell Elementary after reading about a group of students in Georgia who set the current record at 9’8”. With much help from friends, family, fellow classmates, and members of the NASCAR community, Chase and Petey’s Promise gathered, peeled and sorted more than 100,000 crayons in a six month period to melt into the crayon. Concord needs the help of all of its residents to keep our sewer system running properly. Liquefied fat, oil, or grease (FOG) that is poured down the kitchen sink drain can cause serious impacts. FOG can cling to the insides of pipes and the sewer system. Over time, kitchen greases, fats, and oils, that are poured down the drain or garbage disposal will enter the sewer system and clog pipes as the grease solidifies. These pipe blockages can send wastewater backwards and out of manholes onto our streets and into our waterways or lead to plumbing backups on private property.Left unattended, these foul-smelling overflows can cause public or private property damage, or environmental problems. In extreme cases, overflows can lead to public health and safety hazards. The Developer reports that they have a paving contractor that is planning to start the work for the final top coating in the areas that have not been completed starting in the next 10 days. They are planning to be finished by September 8th. Townhome residents can contact Edwards, Church & Muse for their Cincinnati Insurance COI (certificate of insurance) or Proof of Insurance letter that their mortgage lender requires annually. The Townhome Association renews this policy for exterior unit coverage in June of each year. Click here for directions on how to request the individual letter that will state your loan number, unit address and policy coverge dates. Amenities ID cards are available at the clubhouse office with Lisa Wednesday evenings 6-8pm and Saturdays 10a-2p (Lisa will not be in this Saturday May 12th). See the Amenites page of this website for details and application. The 7th annual Spring into Arts Festival is back and ready to share some of the best that North Carolina has to offer on Saturday, May 12 from noon until 9 p.m. in Historic Downtown Concord. There will be musical and theatrical performances throughout the day and a concert in the evening at this free event. View the art show or the jewelry for sale. Kids also can be artists with various activities and crafts. For more information, call 704-784-4208 or visit concorddowntown.com. Concord Events: Union Street Live! For thirty-five years, SwimMAC has enriched the lives of thousands of Charlotte area children with its exceptional competitive and learn-to-swim programs. SwimMAC’s learn-to-swim program is designed to foster the proper instruction of swimming at all levels. Instruction focuses on the concept of water safety, proper body position and kick-driven stroke technique that eventually leads to excellence in competitive swimming. Your child(ren) can receive an additional session of lessons for $20 after June 6th. Calling all Moss Creek Residents to form a successful Neighborhood Watch program! We can build a stronger, safer community through community watch. It is ever more important for us to be vigilant in keeping an eye on our surroundings. Being a part of Neighborhood Watch is really all about being an observant neighbor. This is something many of us already do! As a community we can do it TOGETHER and be much more effective. This program does more than just prevent crime. It has a remarkable effect on the relationships in a community, as well as affecting the residents’ awareness and involvement in the neighborhood. Our community is built on the strength of its residents! Join together at an informational meeting 6:30pm, Wednesday March 21st at the Monarch Clubhouse. This will be a brief meeting where Sergeant Edie Moss of the Concord PD, the District’s official Neighborhood Watch liaison will speak about how to conduct the program, the responsibilities of the program participants and how we intend to map the neighborhood in groups. We also hope to recruit a Chairperson and Block Captains for the program. We would like to encourage all residents who are interested in the Neighborhood Crime Watch Program to attend this important meeting. Save the date! The third annual Viva Verde Earth Fest (a partnership between Concord, Kannapolis, and Cabarrus County) is coming from 10:00-3:00 on Saturday, April 14 at North Cabarrus Park. VVEF is a festival in honor of Earth Day that celebrates nature and environmental stewardship, providing opportunities for environmental education in a fun, family-friendly way! There will be information booths, live music, recycling opportunities, games, and more. Be sure to check out the event’s Facebook page; information is also available on the City’s website. The February 2012 Newsletter is linked here. Click to be the first to see it! Thank you all for participating and making Moss Creek so beautiful this season! Holiday Lights & Decorating Contest! It is time to vote for your favorites! There is a lot of really great decorating spirit in Moss Creek this year! The Social Committee had a hard time choosing only the top10 homes. Now it is your turn to vote on the 2 best! There are two categories: Whimsical and Traditional. Seven homes were selected in the Traditional category and 6 in the Whimsical category. Vote for your favorites in each category on the surveys on this page. Please have your votes in by the 26th as the winner will be announced on December 28th. Click on 'read more' below to see pics of each home. Better yet, take the family for a drive and see the neighborhood lights as many of them are not done justice by photograph! There have been reported a number of incidences of vandalism to Holiday decorations in Moss Creek residents' yards this week. Please keep your eyes open for the perpetrators-presumably kids and teenagers that do not understand the culpability of their actions. The police have been notified and asked to increase patrol when possible. Any vandals caught will be held accountable. The Master Irrigation System will be Winterized next week. For those single-family Homeowners that signed up for the winterization special for your own irrigation systems, the schedule by zone is listed on this page in the Irrigation Updates section. 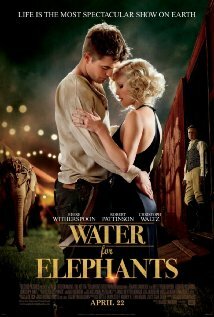 We were absolutely enchanted by Before Ever After. It's a highly original and engaging mix of romance, mystery and magic that will challenge everything you think you know about happily ever after. All residents are welcome to join the book club. We (usually) meet every 4th Wednesday of the month at the clubhouse to discuss our book and to socialize. Each member gets a chance to host a meeting. The host brings a snack for us all to share and 3 book selections, which we vote on that night. This has actually worked well and brings great diversity to the club. Due to the Thanksgiving holiday, our next meeting will be November 30th, 7pm. November’s pick is: Before I Go To Sleep by S. J. Watson. Fall issue of Leisure Times- great info on upcoming Community events, classes and activities for kids and adults. As we have learned after speaking again to the Developer, the first phase of paving was to be the most extensive part of the project- the roads that needed to be milled up and re-done altogether. The remaining paving is simply top-coating. The first part of the project was such a major expense, that they remaining paving will be done in a separate phase. As of yet, the engineer is unable to give us a date for this final paving to begin. 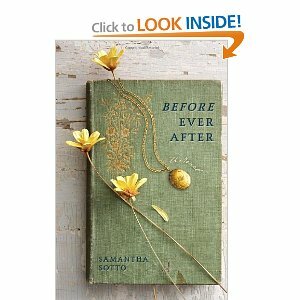 The October selection for the Book Club is Before Ever After by Samantha Soto. This selection will be discussed at the October meeting on Wednesday October 26th at 7pm. link to Amazon. As we happily see the street paving being completed, we need to work with the paving company to prepare for the final top coating of Moss Plantation this Thursday and Friday. This means that we will have to shut down some irrigation for one cycle. Most of the Phase 2 irrigation system will not run Thursday or Friday this week. You may miss just one cycle of water. Tim will be onsite Saturday to turn the system back on. This will affect zones K through V.
Luckily the weather is cooperating with us and the temperatures are not expected to breach 90 degrees over the next few days. Your patience is greatly appreciated as this road work is completed! We are happy to inform you that the final paving project is slated to begin tomorrow. They will begin by milling down the 3 main roads- Moss Farm, Moss Plantation and Village Commons. Once that is complete, they will take it down to the sub-grade and then re-pave. The smaller streets in the development will be done after the main roads are completed. WEATHER PERMITTING, they expect this process will take approximately 2 weeks. They hope to have the main roads completed before school resumes. ***Many may have noticed that, after the curb repairs were done last week, vandalism occurred to the wet concrete of many of the repaired areas. The Developer and the City are taking this VERY seriously! The City's Chief Inspector and City Manager have asked the police Captain, Templeton, to have patrol pay special attention to Moss Creek during this process. ANYONE caught vandalizing or disturbing the new concrete will be ARRESTED and prosecuted. Financial reparation for any damages caused will be required of those caught. PLEASE make sure all minors are aware of the seriousness of their actions should they be caught carving their initials, etc into the wet concrete. Please call Concord PD if you witness any vandalism. Since the posting on the Community website in March concerning paving, there has been an update of information from the Developer and the City. The Developer has worked out their discrepancies with the City and plans to begin the paving project in the near future. It will be an expansive project as the main roads will need to be ripped up and repaved, instead of just top-coated due to the amount of damage they have incurred. Once a paving date is “set in stone” I will post it on the website and keep residents in the loop on the construction and any effects to Homeowners regarding traffic flow. As a reminder, please understand that the Homeowner's Association is not responsible for street paving, pothole filling, curb or sidewalk maintenance. It is first the responsibility of the Developer. Once the Developer applies the top-coat, the City will apply a one-year warranty waiting period after which time the City of Concord will take over the maintenance responsibility from the Developer. Please click the following link to see a video from the Swim MAC instructors to the Moss Creek community. The main pool pump has been repaired and the 50 meter pool is open to residents. Today there was a fire in the pump room at the pool. The pool management company was present and acted quickly to avoid extensive damage. Our electrician came out and checked everything. He gave the all clear to start three of the pumps back up. He also helped identify what may have started the fire. It sounds like a Duke Energy issue and it could be related to the power issues in the Community today. Unfortunately, the main pool (50 meter pool) will not be in operation the rest of this weekend. The pump requires parts that have been ordered and will be installed mid-week. (Please note that NC Law requires the pump to be operable in order for the pool to be utilized.) 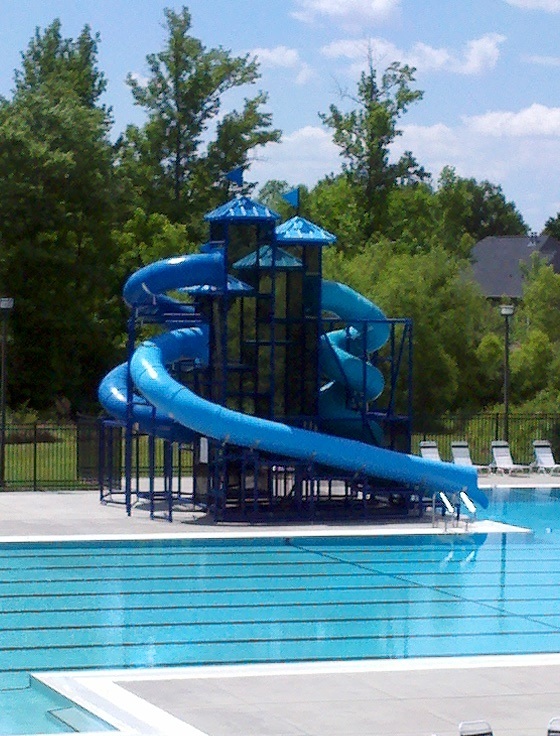 The 25 meter pool and the two kiddie pools will be open. Please be patient with the pool staff this weekend as they do their best in this difficult situation. Thank you for your patience and understanding in this matter. The Master and the Townhome Board of Directors are each looking for residents with an interest in serving their community to join the Board. The Annual meeting this month is when voting occurs for new officers. Those interested in submitting for candidacy may contact Ben Rhodes at (888) 600-5044 option 1, Moss Creek; ben@kuester.com . Submit a short letter of intent and your resume. Please note that to be eligible to run for a position on the Board of Directors your assessment account must be current and you must be an owner of record of the HOA. The Board currently meets monthly in person and occasionally on special topics intermittently. The Pool Season is about to begin. The pool opens Saturday May 14th. The 2011 Pool Packet will be arriving in your mailbox the week of May 2. It will contain your 2 Guest Passes. Check out the pool rules here and the pool hours here.  You may stop by for a walk-in appointment with the Amenities Manager to bring your application to the clubhouse, have your picture taken and your ID issued. Walk-in times are Mondays and Thursdays 5-7:30pm and Sundays 3-6pm.  You may submit your completed application and a jpg. digital photo of each member 12 years + via email to the Amenities Manager at holly@kuester.com. The ID card will be processed and mailed to your residence or made available for you to pick-up. Due to the cost of producing Amenities ID cards, the Association will now charge $15 each for replacement IDs. Properly maintained, ID cards can last for many years. In consideration of demand, this year the pool will be open an additional hour on weekdays for ADULT ONLY lap swim. The intention is to give lap swimmers the ability to train without the danger of running into free swimmers and children. If you have yet to get your Girl Scout cookies or have already run out and need more- no fear! The Girl Scouts are here! Troop 1211 will be selling cookies in the clubhouse parking lot this weekend; Saturday 4/2 and Sunday 4/3 12-4pm. 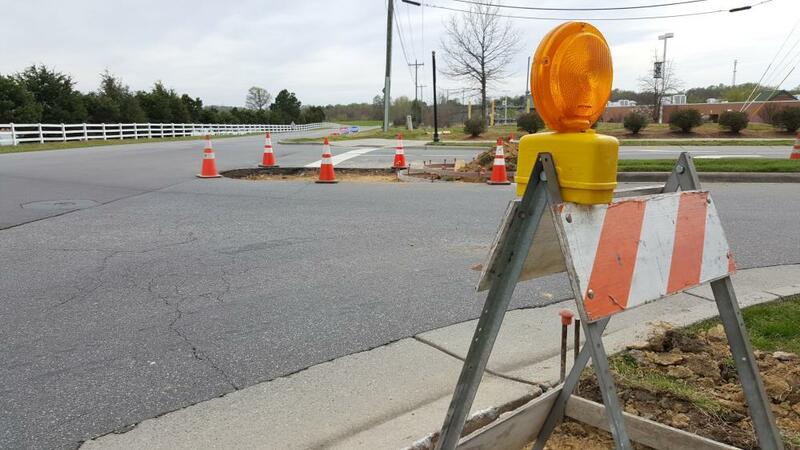 J&B Development has promised that they have scheduled the paving contractor to begin the project of completing some of the remaining top-coat paving needed in Moss Creek. They plan to begin the job within a month. The potholes will be filled before then. They will do the remaining paving is phases. Phase 1 will be Moss Farm and Moss Plantation Ave. The subsequent phases will follow in the later spring. Please understand that the Homeowner's Association is not responsible for street paving, pothole filling, curb or sidewalk maintenance. It is first the responsibility of the Developer. Once the Developer applies the top-coat, the City will apply a one-year warranty waiting period after which time the City of Concord will take over the maintenance responsibility from the Developer. The Homeowner's Association and Management Company have been working for you to get this project moving by the Developer. Also, J&B is in process of ordering streetlights for the remaining areas in Phase 2 that have development planned streetlights. Between Duke Energy, the City, and J&B, these streetlights will be installed according to their installation schedule. 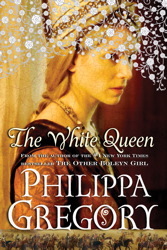 Book Club meets the 4th Wednesday each month (March 23). All residents welcome! The Social Committee is rescheduling the February Wine and Cheese Social to a Saturday night. The new date will be announced when selected. 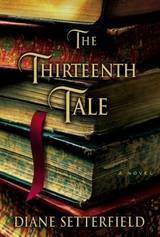 The Book Club meets the 4th Wednesday of each month in the Clubhouse at 7pm. (January 26th). New members always welcome! Holiday Lights &amp; House Decorating Contest Winners! The votes are in and we have the winners for the Holiday Decorating Contest....... For Whimsical: 9614 Ravenscroft Ln and for Traditional: 9664 Evanston St.! Congratulations winners and thank you all residents who made Moss Creek so beautiful this season!!! We have extended the voting deadline for the Holiday House Decorating Contest! Take this opportunity to vote for the 2 best decorated homes in Moss Creek -one in each category (remember to click on the 'next survey' button to vote for the Traditional style home). The voting will close on Sunday Dec 26th at midnight and the two winners declared! The winners will then receive a visit from a social committe representative with their prizes! Happy Holidays! Holiday Lights and Decorating Contest! It is time to vote for your favorites! There is a lot of really great decorating spirit in Moss Creek this year! The Social Committee had a hard time choosing only the top10 homes. Now it is your turn to vote on the 2 best! There are two categories: Whimsical and Traditional. Five homes were selected in each category. Vote for your favorites in each category on the surveys on this page. Please have your votes in by the 19th as the winner will be announced on December 20th. Click on 'read more' below to see pics of each home. Better yet, take the family for a drive and see the neighborhood lights! A set of keys was found on Moss Plantation Ave with an Ethiopia key ring attached. Call 803-578-7701 or email holly@kuester.com to claim. The next book the Book Club will read is Dan Brown's The Lost Symbol. Usually the Book Club meets the 4th Wednesday of each month. With the holidays, they have decided to skip November's meeting and meet next on December 29th instead. 7pm. For info contact the Social Committee mosscreeksocial@yahoo.com. All residents welcome! The Moss Creek irrigation system will remain up and running through November 21st, weather permitting. The Moss Creek Homeowner Association will be winterizing the irrigation systems main and sub-main irrigation lines in the coming weeks through the contracted provider. This will involve blowing out the lines to insure no residual water is left which could potentially freeze, breaking the pipes. This service opportunity is only available to Single family Homeowners and will not affect the Townhomes – whose service is provided through the Townhome Association. Through a contracted provider, each single family resident will have the opportunity to receive this winterization service at a drastically reduced rate from other service providers. If you would like to take advantage of this additional service, the cost will be $25 per owner. A Nintendo DS game was found in the Community on the street by another resident. If your child lost this game, contact Holly hbiddle@kuester.com to claim. Positive identification will be required. and its future in the Greenway and Thread Trail System. This will be an Open House drop-in question and answer session. The P&R will resubmit the Trail for State grant monies this February. If the grant is secured, Parks & Rec could begin revamping the Nature Trail as soon as next fall. The Open Houses will be held on October 14th 6-7:30 pm at Fire Station #9 on Poplar Tent Rd. between Derita and I85 and on October 21st 5:30-7 pm at Odell Elementary School. The Moss Creek tennis courts are being refinished. The process will take as long as 2 weeks. CORRECTION: They will resurface all four courts at once. During the resurfacing and painting process, the courts will be unavailable for use. The expected date of completion, weather permitting, is approximately October 19th. Can't wait to get to Heaven by Fanny Flag. 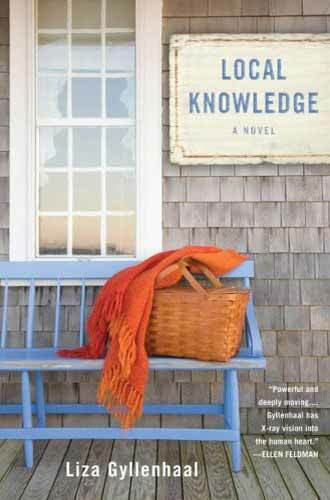 The Book Club meets the 4th Wednesday of each month in the Clubhouse at 7pm. The HOA Irrigation system will remain active until the end of October. The anticipated end date will be October 31 assuming weather conditions cooperate. Please be aware, if you are aerating your yard and need to flag your sprinkler heads, you may request irrigation activation outside of your regular watering time. The form used for this request is located on this website under the Irrigation tab. The service is offered on Wednesdays. Please provide appropriate notice. Friday 9/3 12:00 p.m. to 8:00 p.m.
Saturday 9/4 10:00 a.m. to 8:00 p.m.
Sunday 9/5 12:00 p.m. to 8:00 p.m.
Monday 9/6 Labor Day-- 10:00 p.m. to 8:00 p.m.
Saturday 10:00 a.m. to 8:00 p.m.
Sunday 12:00 p.m. to 8:00 p.m. Meetings are the 4th Tuesday of each month at 7pm. 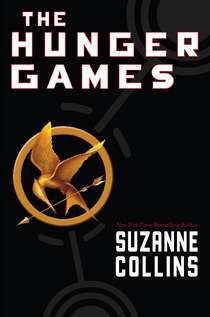 The book for the next month will be chosen at each meeting. of Concord. Twelve of our neighborhoods hosted events in 2009. In addition to increasing awareness of crime, NNO strengthens neighborhood bonds and community-police partnerships, while sending a message to criminals that neighborhoods are taking a stand against crime! Last year, Moss Creek was approached by the City of Concord Parks and Recreation Department about our Nature Trail. 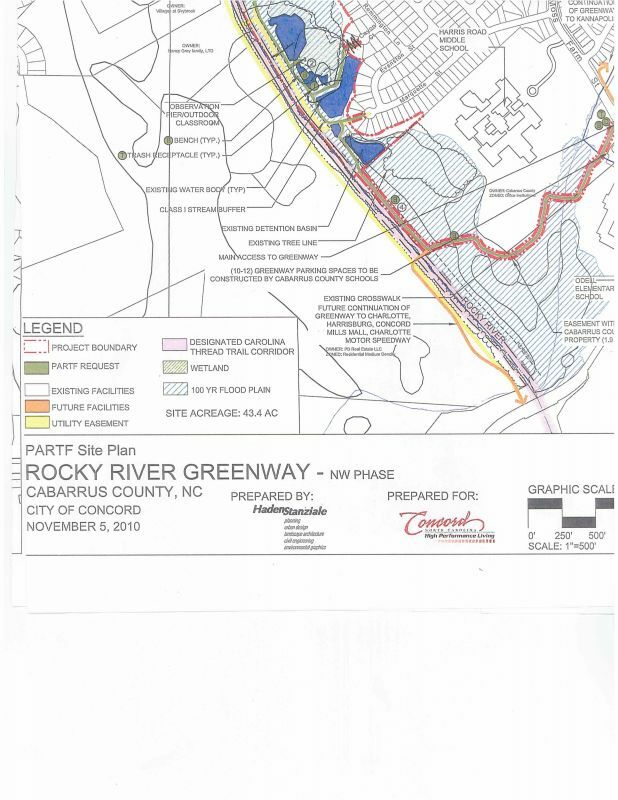 The greater hope is to deed the Trail to the P&R Dept so that they may improve the trail and connect it into the Greenway system and eventually have it become a part of the North Carolina Thread Trail system. In January, many dedicated residents went door to door to get the signatures required of our Governing Documents to deed the trail to P&R. With this proof that Moss Creek was willing to deed the trail over, the Park & Rec Leaders put together the grant proposal for this year’s Greenway funds award. Many proposed Greenway projects from across the State were in the running. 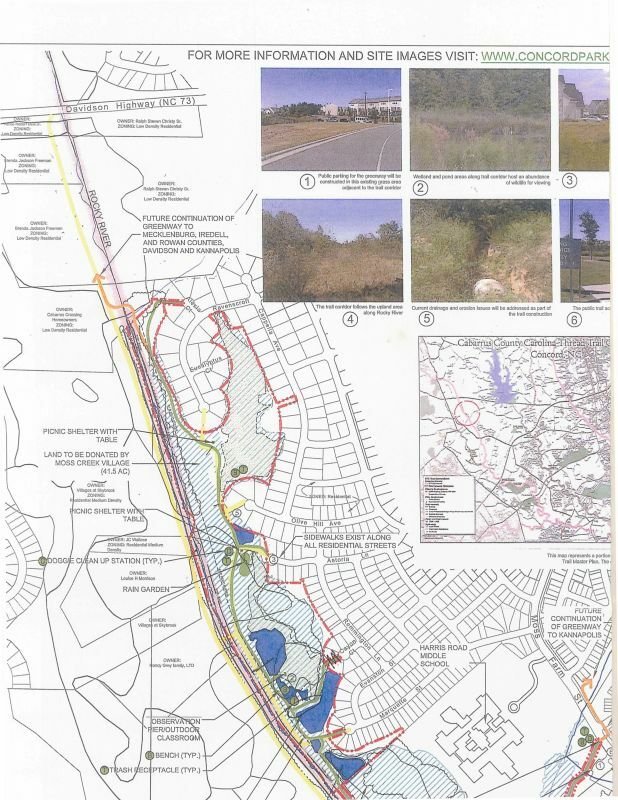 When the decision was handed down in June, it was announced the Moss Creek Trail project was not chosen as a winner in the first phase of the Grant Awards. The projects that were chosen in June had been in the running for the grant money 2-3 years in a row. This month, Mark Kincaid of Concord P&R is attending a conference where the remainder of the funds for 2010 Greenway Projects will be awarded to vie for the Moss Creek project. If the proposal for the Moss Creek Trail is unsuccessful at this conference, Parks & Rec will gear up to submit our trail for next year’s grant in February. We have all seen the improvements happening to the section of the trail between the elementary and middle school and along Harris Rd. This section of the trail does not belong to Moss Creek but to the County. Our trail property line runs at the far side of the irrigation retention pond off Marquette Street. Luckily for us, this portion of the trail with the 2 damaged bridges belongs to Cabarrus County, so the liability is theirs. The County received a special grant to restore the wetlands area by the schools. Management is working with the insurance companies to gather the quotes needed to begin the repair to the monument at the back entrance at Harris Rd and Moss Farm. Work will commence at the soonest possible date. New Event Pics to Photo Album! Check out the new pictures added to the Photo Album- Chili Cook-Off and Spring Festival. While it is very important to take part in the Census so that appropriate State and Federal monies are divvied to our communities appropriately, be aware that there are individuals and groups who take advantage of this opportunity to obtain personal information from unsuspecting Homeowners. Watch out for people coming by the house posing as Census workers. They will ask for the census form and then ask to see your driver's license and credit card to verify your "identity". They often also ask for your social security number and your bank information. They will show you a police looking badge, and threaten you with arrest if you don't provide the info. Some may be wearing a uniform. If this happens close the door and call the police. Concord Police suggest when paying bills to either pay online or drop your mail at the Post Office or mail drop service directly. There have been a number of instances in Concord and in Moss Creek where residents have had mail stolen from their mailbox, the checks 'washed' and reused or cashed by the thief. Take caution with all outgoing mail. Getting Moss Creek into the Loop! Reminder: Kuester Mailing Address Changed! The Bookmobile comes to the Moss Creek Clubhouse parking lot every week! An easy way to access the Cabarrus Library. Every other Wednesday and every other Thursday: 6/18, 6/24, 7/2, 7/8, 7/16, 7/22, 7/30...mark your calendar. FREE SWIM LESSON CLASSES FROM MAC ARE FULL!!! Each year MAC has given the HOA money in exchange for the use of our pool to train their elite swimmers in the morning before the pool opens and for some lane space on certain afternoons. This year the BOD asked MAC to offer the Residents a tangible replacement for the money we receive. The 192 Free swim lessons was the exchange for the cash. Last Saturday the 30th MAC held the initial swim lesson registration. Scores of residents lined up outside the Clubhouse for the 1st come 1st served sign ups. Nearly 200 children were registered. At this time the the available slots from MAC are full. Therefore the June 6th registration date is cancelled. If you were unable to get into the free MAC lesons, you can contact Carolina Pool Management about their swim lesson program. The Lifeguards at the pool can supply you with the information and answer any questions for you! Per City Ordinace, All Solicitors must have a city permit to door to door solicit. If a Solicitor comes to your door and does not have a permit, you may want to call Concord Police. (704-920-5000) An officer will come out and check up on the Solicitor and ask them to leave the Community if they are un-documented. NOTICE: If you are a Renter in Moss Creek, Your Landlord/Homeowner must have you listed with Kuester Management as the Tenant at that address. That means your lease must have been submitted to the Management Company prior to Registration Day. If you have any doubts, call Kuester Management to find out. Don\'t wait until Registration Day- you will not be able to sign up for swim lessons if we do not already have your lease and your name listed as the Tenant! Saturday June 6th from 10am - 12 noon. Sign up will be first come first served- so get there early. You will be able to sign up for one session and be put on a waiting list if you want to sign up for 2nd or 3rd sessions. We would like everyone to have access to at least one session. If there are still open slots, you may be able to take advantage of more than one session. The neighborhood Safety and Security Committee is looking for volunteers to help with the planning of a National Night out event Tuesday August 4th 2009. For more info about National Night Out go to the website. This is a great event that many of our local neighborhoods take part in as well as neighborhoods nationally! Let's not leave Moss Creek out this year!! Anyone interested in assisting in the planning of this event please contact Mike Carneglia at mcarneglia@carolina.rr.com. Moss Creek Master Association has a position open for a Board member. Kuester\'s main office in Ft. Mill is moving next week. Although this will not affect most of us, there are a few residents who occasionally send their Assessment payments to the Ft. Mill office. See the attached notice. Because of the rain we had on Monday and Tuesday, the rainsensors have not allowed the irrigation system to run yet. The ground is quite saturated. We can expect to see the system begin to run on Sunday night for those on the Sunday night cycle, considering we do not get the forecasted rain on that day. Check the website frequently for up to date irrigation news! On Monday, May 11, 2009 at 6:30 p.m. the Moss Creek TOA, Inc., will hold the Annual Meeting for the Association. The meeting will be held at the Moss Creek Clubhouse located in the community. At this meeting an election will be held for the Townhome Board members. All interested members of the Townhome Owners Association have the opportunity to submit their name as a candidate to fill one (1) of the seven (7) open seats on the Association’s Board of Directors. Candidate\'s letters of intent/biographies will be posted on this site under the "Board Members" tab as they are submitted. As we approach the beginning of the 2009 Irrigation Season, there have been residents requesting the activation of their irrigation system during the day for a short window when they have a scheduled service call for maintenance of their irrigation system by a Contractor. This request form is available here. April 22nd is the first date for which requests can be made. The request will be forwarded to the Irrigation Supervisor who will coordinate the turning on of specific zones for Contract work. Any questions can be forwarded to Holly at hbiddle@kuester.com (803)802-0004 x7701. You may email or fax the form to Holly as well. Fax# (704) 721-0078 . Available for purchase- Only $5! The Moss Creek Safety and Security Committee is forming a Neighborhood Watch. We are in need of Zone Captains to assist in this process. Please contact Mike Carneglia at mcarneglia@carolina.rr.com for more information. Irrigation repairs- open holes. Be careful! Please note to stay clear of 3 places in the common areas where there are holes opened in the grass for irrigation pipe repair. The areas are clearly marked off. The repairs will be made as soon as possible and the holes closed. * On the corner of Astoria and Remington. The Irrigation season will begin for Homeowners on April 15th. Shortly, Fling will be begin to de-winterize the system, running diagnostics and making any repairs so that come April 15th, the system will be ready to go for Homeowners. The March Newsletter is Here! Look at it online before you get it in the mail! The Social Committee Needs Your Help! to help us out around Christmas. Please remember that trash cans and recycling bins are NOT to be brought out until the eve of trash day and must be stowed by the following day. They must be stored out of view of the street and not in front of the garage door. Residents please be aware that playing with toy guns- including air or gas powered guns within city limits in unlawful. There have been complaints that some neighborhood kids have been shooting pellet guns at other children and property. Earlier this week, a young girl in Walker\'s Glen was shot. She was ok, but scared. Wine and Cheese Social a Hit! On February 6th, the Social Committee hosted a Wine and Cheese Social for the residents of Moss Creek. For this free event, the Committee arranged for 3 North Carolina vineyards to showcase their product. In light of the recent rash of vandalism, the Board of Directors has put in place a set of guidelines regarding punishment for offenders. Click "Documents & Forms" for this and other neighborhood policies. Creating a profile on our new website is your ticket to staying informed! Keep your eyes open... the 2009 coupon books are in the mail! If you do not receive one, please contact Kuester: hbiddle@kuester.com. The next Assessment date is January 1st. The Classifieds section of the Moss Creek Website is now open to residents of our Community to place an ad for their business. If you are a business owner that lives in Moss Creek, this can be a great community networking tool! Just submit your ad on the ‘Classifieds’ section of the website. For added safety at night, keep your porch light on, back and front patio. The additional light will help deter crime. Keep your blinds closed. Please do not forget to lock the doors to your home and car. Take visible items of interest from your car- like GPS units, garage door openers and personal belongings. Do not leave your garage door open when you are not in visual range. Be vigilent, careful and watch out for our neighborhood. Report any suspicious sightings to Concord Police dispatch at 704-786-9155. Use 911 for extreme emergencies. The Bookmobile will now be visiting Moss Creek EVERY week! Every other Wednesday 2:45-4 pm beginning 11/26 and every other Thursday 3-4 pm beginning 12/4. A Swim Team for Moss Creek Youngsters! Moss Creek, in conjunction with Just Swim MAC, is looking to create a Neighborhood Swim Team for the 2009 Season. If we want to create a swim team for Moss Creek, we need to start now! The new "Classifieds" section is up on the website. "Young Entrepreneurs" are encouraged to place an ad for a community service. The Board is asking for volunteers who are willing to get signatures from homeowners. A number of signs and model homes were damaged by vandals this week. If you have any information regarding the identities of the perpetrators please contact the Concord Police Department.